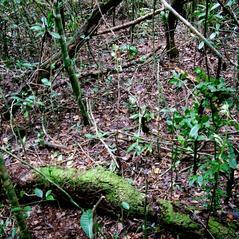 Galeandra bicarinata G.A.Romero & P.M.Br. 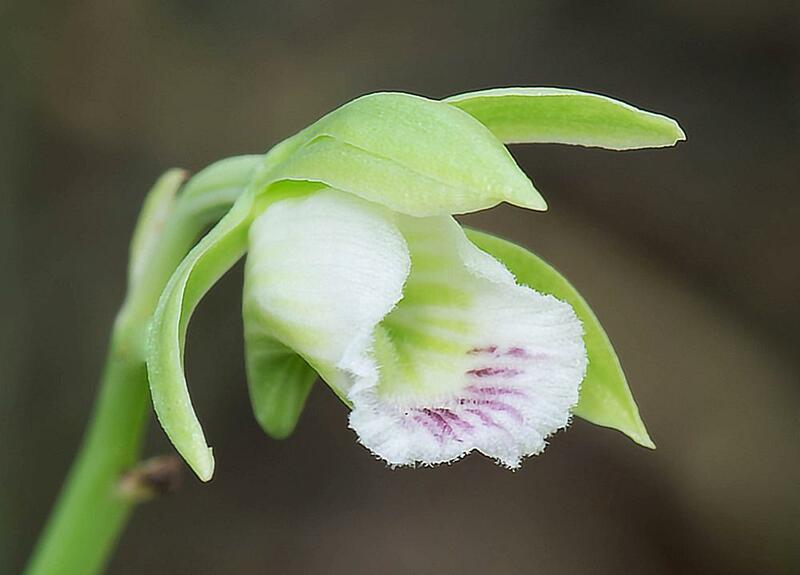 Galeandra bicarinata, commonly known as the Two Keeled Galeandra, is a rare terrestrial orchid that grows in hammocks in southernmost Florida and extends into Cuba. 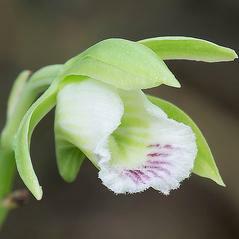 This orchid produces 1-2 leaves that are light green in color and have narrow, plicate leaf blades that may wither during the flowering period. 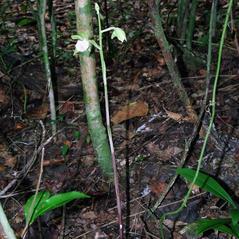 The inflorescence has 3-17 relatively large flowers on a terminal raceme with sepals and petals that are pale green in color. 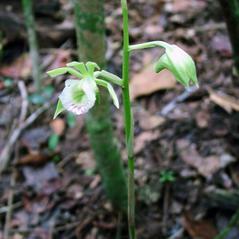 The labellum is white with green stripes on the ruffled front and crimson stripes that extend inside and a broad, funnel shaped spur. 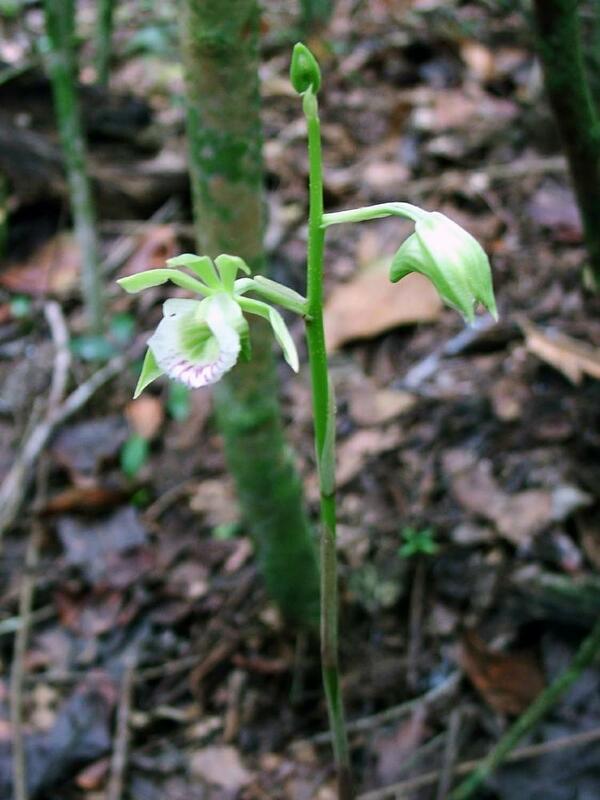 This orchid grows in the decomposed leaf litter of hardwood forests and prefers shade from a closed forest canopy. 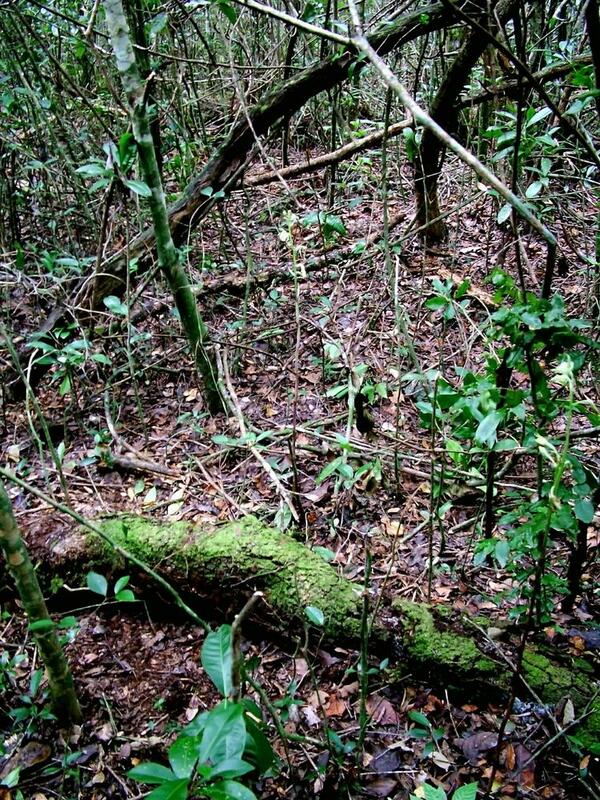 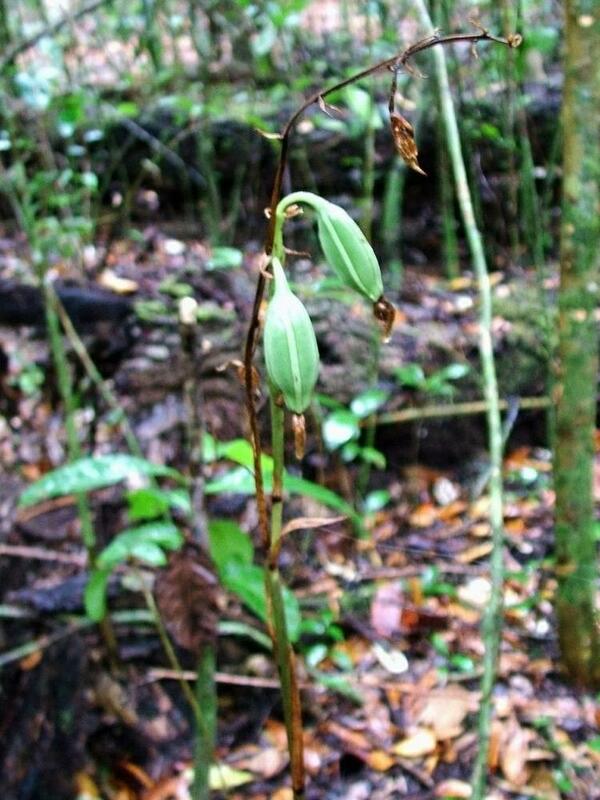 Galeandra bicarinata is considered critically imperiled and endangered in Florida. 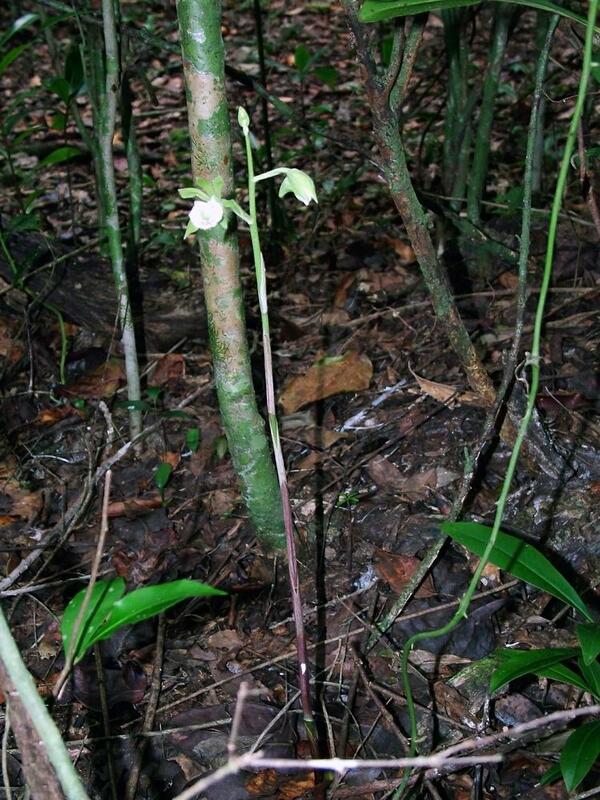 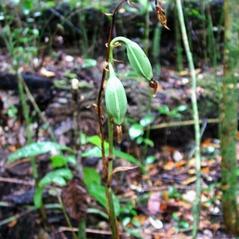 Threats to this orchid include poaching, invasion of non-native plants, and hydrological modifications.